Powerful, lightweight and compact, the 6PX Tactical provides simplicity of operation in a handheld package. The 6PX is activated by our classic tactical tailcap switch—press for momentary-on, twist for constant-on. 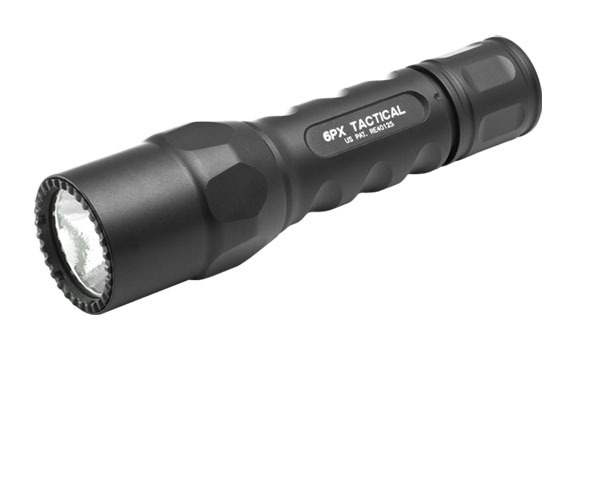 The 6PX Tactical utilizes a high efficiency single-stage 320 lumen LED light with a precision reflector that creates a smooth, optimized beam. Hard anodized and made from high grade aerospace aluminum, the 6PX is sculpted for a sure grip in any weather condition as well as being fully weatherproof. Run time of 2.5 hours.